The Synapsys range of BMS interface and integration solutions simplifies building integration by allowing a wide variety of plant, control systems and protocols to communicate effectively. 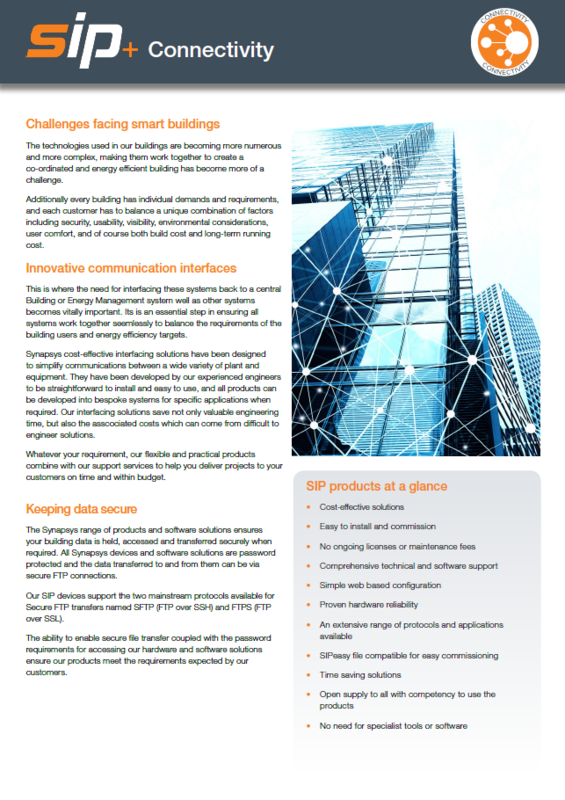 Easy to configure and simple to use, Synapsys interfaces require no specialist tools or training and can make an effective contribution to energy usage reduction in buildings. The innovative Trend-compatible and BACnet-compatible interface product ranges are based on a cost-effective hardware platform that offers a fully functional embedded PC with Ethernet and serial ports, and a large memory. The Trend-compatible interfaces includes our unique vIQ (Virtual IQ) software which allows the interface to sit straight on a Trend IQ2/3/4 network. Each third party device can simply be presented as if it were a Trend controller, simplifying networking and reducing engineering time. Our BACnet-compatible interfaces present third party devices as a single BACnet device for the use by the BACnet supervisor. 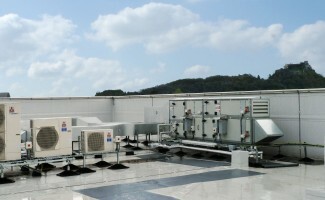 Trend compatible – ModBus, M-Bus, BACnet, SNMP and Panasonic VRV interfaces for direct connection to Trend, suitable for a wide range of third party devices such as utility meters, chiller units, AHUs, VSDs, UPS units and CRAC units. BACnet compatible – ModBus, M-Bus interfaces for direct connection to BACnet, suitable for a wide range of third party devices such as utility meters, chiller units, AHUs, VSDs, UPS units and CRAC units. 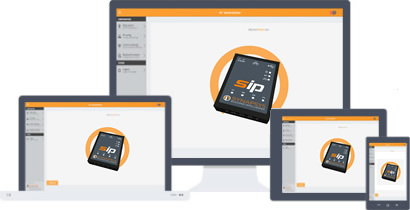 Select the SIPeasy file you require, download and restore it to your SIP device, characterisation is then complete. Our SIPeasy files can be download for free from our SIP Integrator support website along with all our technical and sales documentation.